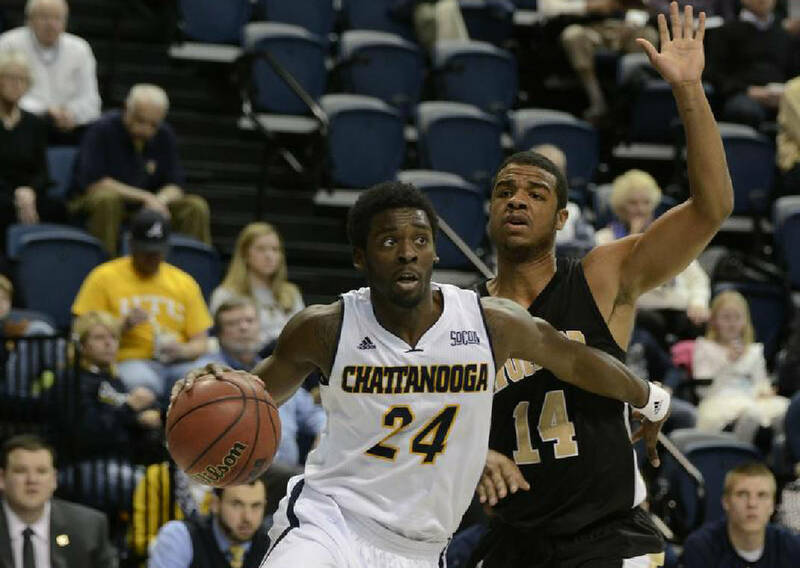 The University of Tennessee at Chattanooga men's basketball team was picked to win the Southern Conference Thursday in both the coaches' and media polls. Senior forward Casey Jones was the preseason choice for Player of the Year. The two-time All-SoCon selection averaged 14.2 points and 7.0 rebounds per game a season ago for the Mocs, leading them to a 22-10 record and a second-place finish in the conference regular season. Junior center Justin Tuoyo, the 2014-15 conference Defensive Player of the Year, was also selected to the 10-player preseason all-conference team. Tuoyo averaged 10.2 points, 6.4 rebounds and blocked a school-record 104 shots. Coaches were not allowed to vote for their own teams or players in the process. The Mocs, who return four starters and seven of their top eight scorers, received seven of the 10 first-place votes in the coaches poll, finishing with 78 points. They were narrowly ahead of Wofford, who had two first-place votes and 74 points. Mercer received the final first-place vote and was third with 59 points. After the Bears were East Tennessee State, Furman, UNC Greensboro, Samford, Western Carolina, The Citadel and Virginia Military Institute. In the media poll, the Mocs had 18 first-place votes and 266 points. Wofford had nine and 250, with Mercer and ETSU behind them. Furman received the final first-place vote and was picked fifth overall, followed by Western Carolina, Samford, UNCG, The Citadel and VMI. For full story, read Friday's Times Free Press.